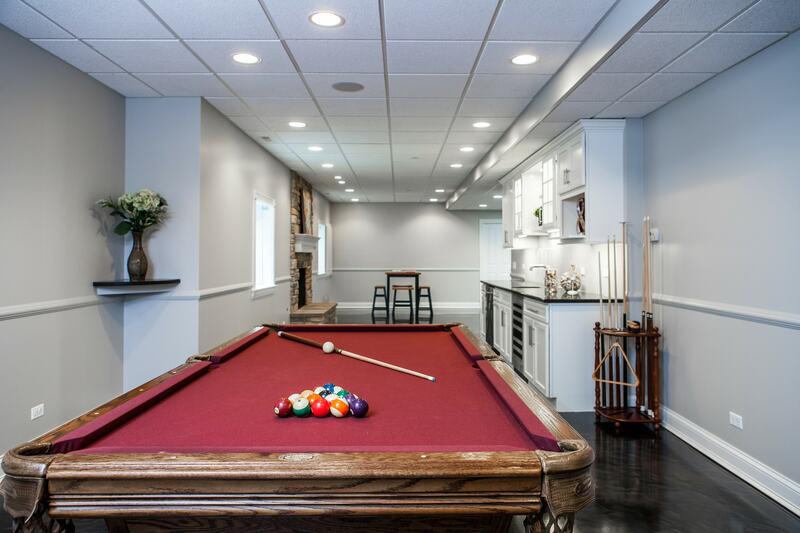 There are many reasons to remodel your basement. 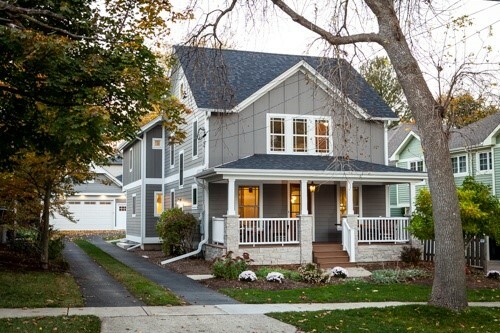 Maybe you have children, grandchildren, or aging parents moving in and want to create a multi-generational-friendly living space. Maybe your teenage children want their own independent living area. Maybe you simply want to make better use of your space by installing a hobby room. 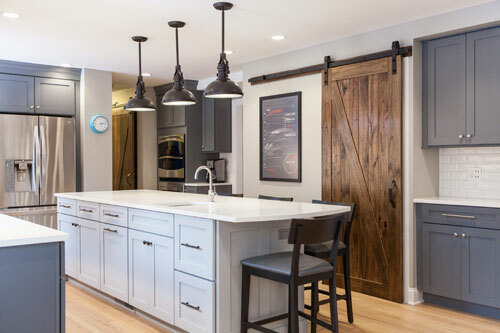 Whatever your renovation reason, we’ve assembled a list of tips for basement remodeling in the Chicago North Shore area. Kitchens are by far the busiest zone in the home. 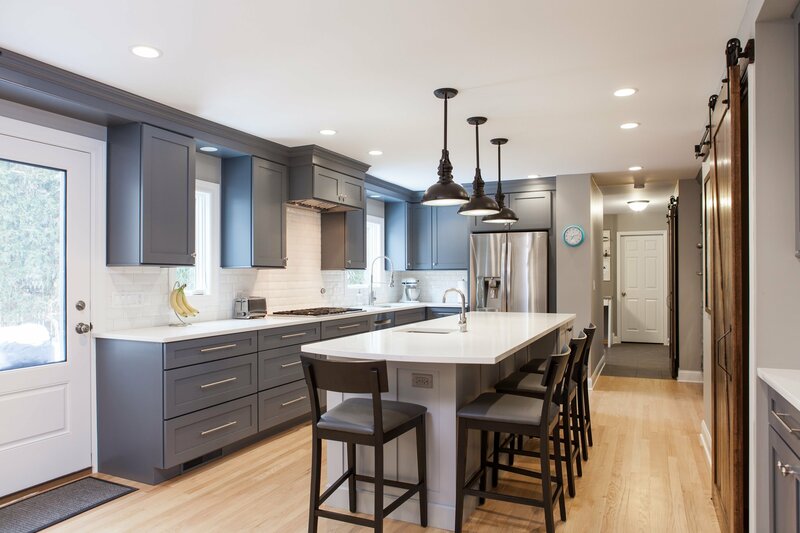 Because of this, your kitchen remodel in the Chicago North Shore area can demand more planning time than any other area of your home. 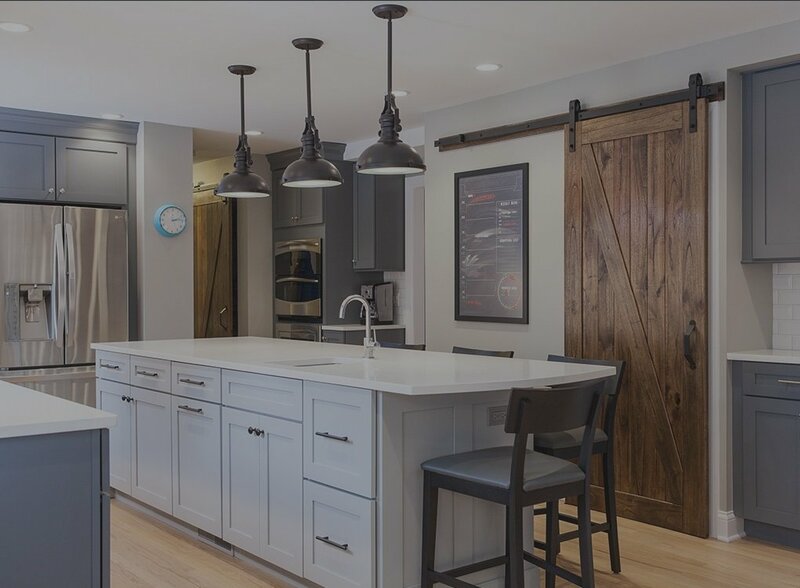 Let’s go over some basic design and layout ideas for what has become one of the building blocks of many kitchens: the island. 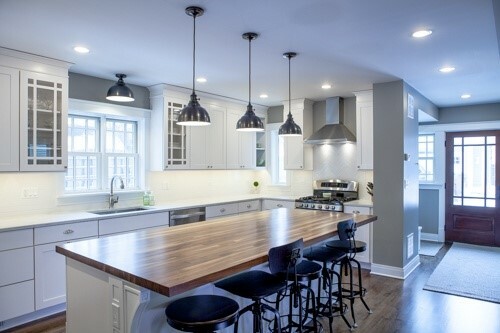 Trying to find a top-drawer countertop to complement your kitchen cabinetry? 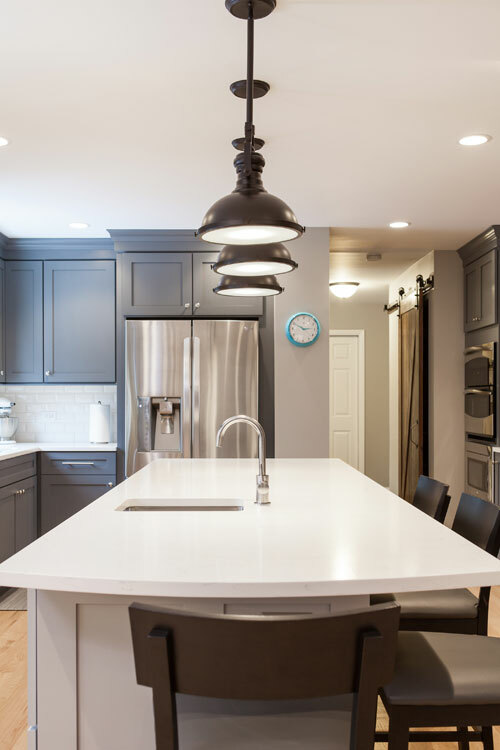 We’ve compiled a list of commonly used countertop materials in the Chicago North Shore area and compared the merits and drawbacks of each. 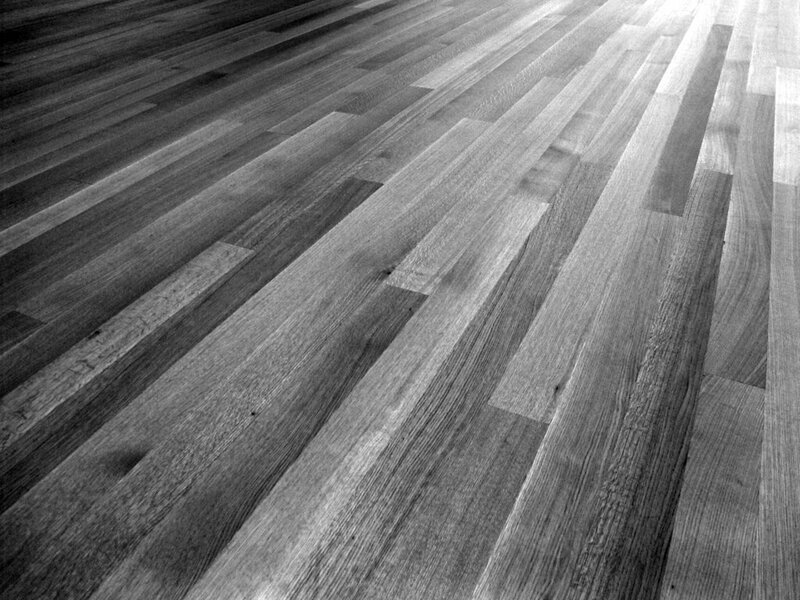 Sometimes, it might seem easier to know what to do with a large space than a small space. In a large space, you can “dream big” and then make minor alterations to your overall vision to accommodate budget and design restrictions. 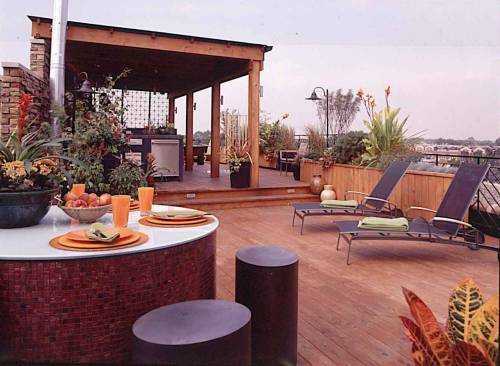 A smaller space, on the other hand, may seem to pose more challenges and fewer options. But in actuality, smaller spaces create boundaries that make planning easier and still enable you to complete charming transformations. 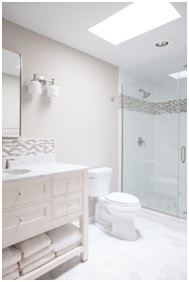 Consider these ideas for your small bathroom remodel in the Chicago North Shore area. A living room is an area where families come together to share the highlights of their day, play a game, watch a movie, or just enjoy one another’s company. 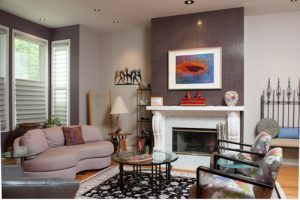 A comfortable, cozy living room is far more inviting than one that seems cold and pristine. Here are some ways to make your living room your family’s relaxing haven.